One Team, One Drive, One Focus: Your Success. At Signature Associates we take a team approach to analyzing your goals and objectives. Using our experience and expertise, we will provide solutions that exceed your expectations. Our team philosophy is to deliver the highest level of real estate services and the absolute best solutions for our clients. 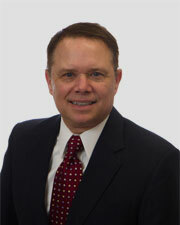 John specializes in office real estate transactions focused along the I-75 corridor north of 11 Mile. 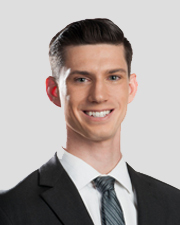 He began his career with Signature in 2018 as a summer intern working with our Property Management Division which provided a great foundation for his career in brokerage. Mentored by Dave Miller, John assists in managing the leasing needs of two premier office projects, Columbia Center and Oakland Towne Square. John graduated in 2018 from Calvin College with a bachelor’s degree in Organizational Communications which focuses on sales as it relates to business. Since growing up in a real estate family, and coupled with being a successful high-level golfer, John has established a hard-working competitive mentality that drives him to continually go above and beyond for his clients. 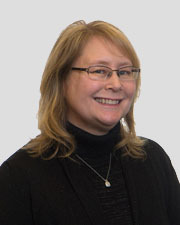 Janice is an accounting team member with 18 years of experience in various areas of property management including corporate accounting and multi-family tenant accounting. 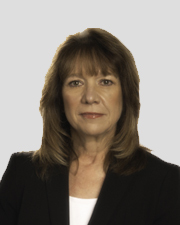 Her past experience with residential / corporate insurance programs, as a legal assistant and as an office manager in other industries makes Janice a valuable asset to the Signature team. Chris began working for Signature Associates in 2016 and works as a Property Accountant for our Property Management team. Within this role, he handles receivables and expenses while also communicating with tenants, owners, and Property Management. He is responsible for preparing monthly operating reports to owners as well as annual CAM reconciliation to tenants and assists in the preparation of annual budgets and the sale of owner properties. Chris also performs monthly property close-outs, including journal entries and bank reconciliation, and more. Chris has over three years of accounting experience. Previously, he worked as an intern for South Redford School District for six months where he handled accounts payable and various other projects before moving to Hantz Group where he was a staff accountant. While there, he was responsible for the full accounting cycle, processing reimbursements, cash flow reporting, and software training in LegacySoft for coworkers and clients. Chris brings a strong work ethic and skill set to the Signature team. As a project manager, Amy works tirelessly to provide her clients with the best results. Her specialties include space planning, construction management, move management, and facility management. She has a unique 360 degree perspective on the construction process and focuses on leading efficient projects that deliver exceptional results. 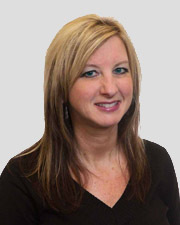 Amy came to Signature with over 10 years of project management experience specializing in the construction industry. Additionally, she has 8 years of property management experience at Meritor and spent a couple years working at Harley Ellis Devereaux, an architecture and engineering company. 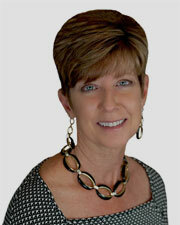 Lori brings over 30 years of commercial property management experience to the Signature team. Currently her portfolio consists of over 100,000 square feet of office and retail properties throughout Southeast Michigan. 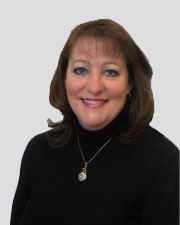 Within her role, Lori uses her unique skills to expertly handle all property management needs. 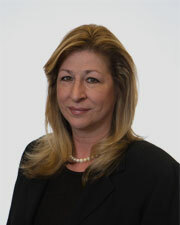 Previously, Lori worked for the Farbman Group for five years. During this time she was responsible for managing a 1.1 million square foot portfolio comprised of high-rise office, light industrial, and retail space. She also spent 20+ years as a commercial property manager for 440 East Congress Partnership, managing the commercial office space with indoor valet parking. Rob Tipple is a building engineer who brings more than 20 years of commercial building maintenance experience to the team and provides construction and maintenance services for Signature’s extensive property management portfolio which totals over 8 million square feet. He is responsible for general building up keep and repair as well as finding highly qualified vendors to help with all property management needs. Rob is committed to providing world-class assistance to every client, no matter the service. Prior to joining Signature, Rob spent 7 years with Broder & Sachse Real Estate as the lead maintenance tech, project manager, and estimator. He also has experience with commercial roofing, architectural sheet metal fabrication & installation, and commercial & residential HVAC fabrication & installation. Nicole joined the ÆRES Team in October of 2017 after graduating from Central Michigan University with a degree in Real Estate Development and Finance, and working throughout college at a top real estate development firm in the market. She is often described as hardworking, creative, and always willing to go above and beyond for her clients. On the ÆRES Team, she serves as the Transaction Coordinator, ensuring all projects and operations are running smoothly. She has a strong back ground in customer service and is passionate about thinking outside the box and making a difference. 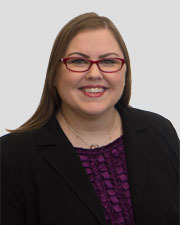 Nicole’s current responsibilities include: lease review and lease administration for clients, preparation of lease abstracts, and database input and tracking of expiring leases of clients and prospects. She is also responsible for preparing market surveys, compiling property information, drafting proposals, purchase agreements, financial analysis, and research. 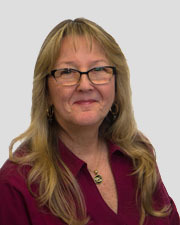 Debbie serves as administrative assistant for the Signature Associates Kalamazoo brokerage team. She has 16 years of experience working in commercial real estate. Debbie provides direct support for Jeff Chrystal, Caroline Pavone, Eric Holdorf and Tom Hohm. She performs all clerical duties for the office, as well as, managing the needs of our clients in their real estate transactions. 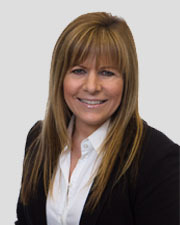 Linda has more than 22 years of experience in the commercial real estate industry. Prior to joining Signature Associates, she was senior lease accountant for a large outlet shopping center development company. She has been a licensed salesperson since 1999. 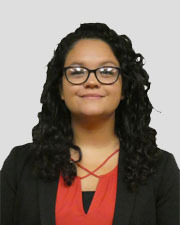 She serves as administrative assistant for the Signature Associates Muskegon brokerage team. 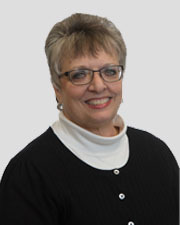 Linda provides clerical support and real estate transaction assistance for her agents, as well as all tasks associated with daily operations of the Muskegon office. 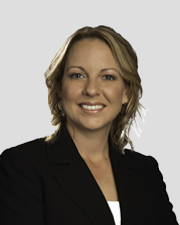 Kari has more than 13 years of experience in the commercial real estate industry. Work ethic, knowledge and professionalism enable Kari to bring a wide array of skills to her position. 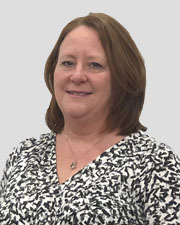 She provides administrative support for the Industrial and Investment teams in the Grand Rapids office. 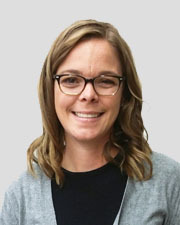 As the Marketing Manager for the West Michigan offices, Kari is responsible for coordinating marketing efforts with Signature’s Marketing Director, overseeing the distribution of marketing materials and enforcing the company’s marketing standards. As a founding broker of the Retail Division, Vice President, and Principal of Signature Associates, Bruce specializes in representing retailers as well as landlords in the sale and leasing of freestanding properties, strip centers, land and new development or redevelopment opportunities. He combines his extensive industry knowledge, earnest work ethic and ultimate drive to succeed with Signature Associates’ many resources, always striving to provide clients with precisely what they need. *Additional client list available upon request. Since joining the marketing department in 2016, Katie has become an integral part of the Signature Team. She began her career at Signature working as an intern, helping with photography and administrative tasks and was quickly promoted to a market associate. 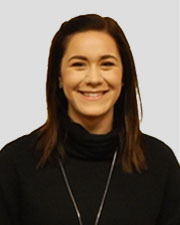 Now, as the Marketing & Communications Specialist, Katie is responsible for creating property flyers, weekly press releases, copyediting documents, and assisting brokers with any of their other marketing needs. Previously Katie worked as an editorial intern for The Chronicle of the Horse, a small nationwide equestrian magazine. During that time she conducted interviews both in person and over the phone, wrote articles for the bi-monthly and bi-weekly magazines and online content, and photographed events. She was also responsible for transcribing, fact checking and researching different assignments and helping out where needed. As a Market Research Associate, Kaitlyn helps enter all new listings into Signature’s in-house property database and is responsible for taking and editing all building photos. She also maintains property listing data for our office and land listings on Signature’s corporate website as well as the database CPIX. Every month, Kaitlyn creates and processes each broker’s exclusive listings to ensure the Market/Research Department has the most accurate data for each property and is continually updating our competitor land market. She assists Christina, our Market Research Analyst, with our quarterly market reports and other duties and is a team player in the Market/Research Department. Previously, Kaitlyn worked for two different recruiting companies as an office assistant and has experience in customer service working in retail as a sales associate. Joy began working at Signature Associates in 2017 and has since become an integral part of the marketing department. Within her position, Joy is responsible for the layout, design, and production of a wide range of design projects for brokers and clients. Her primary focus is on content creation, creative strategy, and design consultancy to develop innovative creative campaigns that drive business. Joy works with the marketing and brokerage teams to define project requirements and offer creative marketing solutions through brochures, corporate branding, corporate materials, and more. Joy’s previous experience as part of the Quicken Loans technology and marketing teams fueled her passion for maintaining high standards for concept and design. Joy employs professionalism and superior communication skills to meet all of the client and company’s needs. As the Market Research Analyst, Christina is responsible for entering all new listings into Signature’s in-house property database while continuously maintaining each broker’s listings to ensure accuracy. She is also responsible for managing and updating our in-house database with competitor listings and comparables while keeping our information databases current. Frequently she assists brokers with traffic counts, demographics, property/availability searches, researching building owner information, and on occasionally assists external appraisers. Christina also compiles Signature’s quarterly reports and market statistics for both industrial and office property types. Christina got started in research working for Ducker Worldwide beginning in 1996 conducting business to business market analyses. 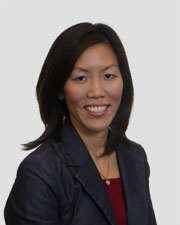 She then spent 3 years as a Market Researcher for Cushman & Wakefield before joining the Signature team in 2006. Christina’s attention to detail and strong work ethic make her a crucial member of the Signature Marketing Department. As a Marketing Specialist, Kim is responsible for creating floor plans and site plans for both property listings and pitch materials. This includes preparing graphic elements needed for site selection packages for Signature’s exclusive retail clients. She also takes care of any photo editing needs our marketing materials may require. Kim recommends and implements strategies to achieve marketing goals for all product lines and services and in addition also assists with any events we hold for clients or brokers. 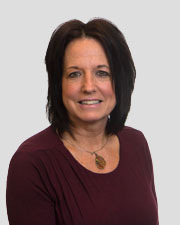 As a part of the Signature team for over 19 years, Kim is knowledgeable, hard-working, and accommodating, willing to assists wherever help is needed. 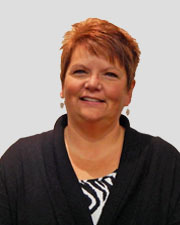 Karin began working at Signature Associates in 2004 and has since become an integral part of the marketing department. Within her position, Karin is responsible for the layout, design, and production of a wide range of design projects for brokers and clients. Her primary focus is on content creation, creative strategy, and design consultancy to develop innovative creative campaigns that drive business. Karin works with the marketing and brokerage teams to define project requirements and offer creative marketing solutions through property websites, brochures, corporate branding, e-marketing, and more. Karin’s previous experience as part of the Documents & Graphics Service Team at Deloitte, Media Archivist at General Motors, and graphic designer at Meadowbrook Insurance Group helped fuel her passion for maintaining high standards for concept and design. She approaches every project with a thirst to investigate, innovate, and develop trends in marketing with an emphasis on web and e-marketing. 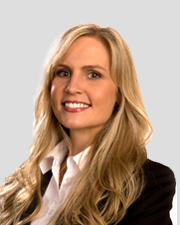 Tricia is responsible for researching and collecting market information regarding the commercial real estate market. She also continuously updates the 30+ competitor industrial market comparing their information with our in-house industrial database. Tricia’s primary focus is the industrial market where she receives daily updates from CoStar as well as daily competitor emails to help better her research. In addition to these responsibilities Tricia assists with the start of our listing process, handles our marketing inventory, and provides relief for our receptionist. Every day she also provides help to all departments concerning various administrative and research needs. In the five years she has been working at Signature. Tricia has demonstrated a strong work ethic, a willing attitude, and a great team spirit. As Marketing/Research Director, Kelly develops and oversees corporate branding and systems across multi-platform marketing services including overall design and messaging, online marketing, advertising, events, and corporate communications. Additionally, Kelly is involved in business development efforts, pulling together presentations and strategies to promote the firm’s services and capabilities. 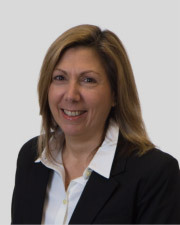 Drawing from over 20 years of commercial real estate experience, she also provides collaborative assistance toward various new initiatives to serve the growing needs of Signature Associates. Kelly also manages the Market Research Department which is responsible for data collection, statistical analysis, and the reporting of product inventory and trends for the Southeast Michigan Real Estate marketplace, resulting in Signature Associates’ pride in maintaining what we believe to be the most accurate database in the State of Michigan. Chip Hurley joined Signature Associates in early 2018 working out of the Grand Rapids office, serving all of West Michigan. With his primary focus on healthcare and transportation/rail related transactions, he also works with industrial, REO (real estate-owned – bank or government) and general office properties. He has more than 25 years combined experience in all facets of real estate brokerage, REO management and environmental consulting. Chip’s experience includes the management of an entire ongoing preservation and disposition process of a local bank’s commercial REO portfolio. The estimated value of the portfolio was approximately $40 million, and involved all commercial property types and some investment properties. For three years, Chip worked with a national healthcare system and assisted in more than 20 transactions. Their 70 location, 2.7 million square foot portfolio is located in Southwest Michigan. His team handled all aspects of the real estate process, including dispositions, acquisitions, lease renewals, expansions, and Fair Market Valuations (FMVs) while assuring compliance by following STARK regulatory guidelines. In 2000, Chip received his CCIM designation and specializes in financial, market, user decision and investment analysis for commercial real estate. In 2006, he received his SIOR designation, a professional symbol of the highest level of knowledge, production and ethics in the real estate industry. He donates and volunteers for the Elves and More, West Michigan organization. Chris specializes in industrial real estate with a focus on the western suburbs, concentrating on those along the I-275 corridor. He joined the team in January 2018 and is being mentored by some of the most successful brokers in the industry. Previously, Chris interned for Signature Associates in 2017 and Bedrock in Detroit as a part of their Leasing & Development team in 2015-2016. He currently manages the leasing of a multi-tenant, hi-tech portfolio consisting of over 11 properties spread across Southeast Michigan. R & J Properties, Inc.
Josh has been a Special Projects Manager with the Signature’s Advisory & Management Services since early 2017. He has excelled by applying his knowledge of sourcing best practices, negotiation techniques, relationship management strategies, and project management acumen within all facets of the real estate industry, creating a true comprehensive understanding of the Real Estate Industry. With a primary focus in Downtown Detroit, Josh specializes in Property Management, Construction Management, Advisory Services, and Full-Service Brokerage; including Owner and Tenant Representation. Josh currently manages a portfolio consisting of a wide variety of properties, ranging from multi-family residential complexes to state of the art office and event space; including medical offices, industrial complexes and “The Corner Ballpark” (Previously “Tiger Stadium”). On a daily basis, Josh applies his marketing, integrated supply chain, and general business knowledge obtained from a past career in the Food and Consumer Packaged Goods Industry, where he has worked for large manufacturers such as Kellogg’s and Leprino Foods (the world’s largest mozzarella cheese manufacturer). In his latest role there, he was responsible for managing the Strategic Sourcing and Operations for all Ingredient and Packaging materials, totaling $140 Million in spend. Julie has over 25 years of commercial property management experience where she has focused on industrial, office and retail product types. 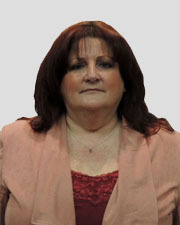 She began her career as an administrative assistant and has since grown into her current role as Senior Property Manager. 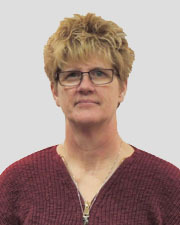 She has held various positions within the property management field which gives her extensive knowledge and allows her to effectively oversee a variety of situations. 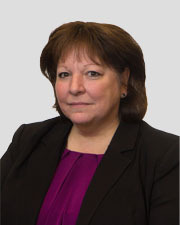 In a previous role, Julie supervised a property management department for a company which had properties in several states. She currently manages approximately one million square feet and focuses on property management as well as assisting owners on leasing their properties. 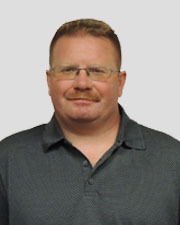 Marty is a Sales Associate for Signature Associates’ Industrial Division. He specializes in industrial sales and leasing along the I-75 corridor. In this capacity, he markets properties for clients, creates comprehensive property reporting, and advises building owners on the best course of action in order to maximize their return on investment. 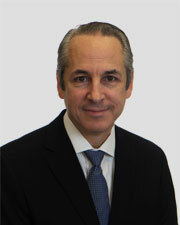 Marty strives to attract new clients to Signature’s portfolio using his market knowledge and tenacity. He continually exceeds his client’s expectations by going above and beyond what is anticipated. Marvin is a Sales Associate in the Retail Division with a focus on properties on the Westside of Metro Detroit. 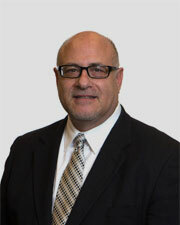 He brings over 20 years of experience working with the retail industry to his position at Signature Associates. Marvin is energetic, passionate, knowledgeable and professional, always striving to find the best deal for his clients. He is skilled in customer service, sales, business development, marketing strategy, sales management, and he epitomizes honesty, integrity, and hard work in every facet of his life. Marvin’s clients’ needs and concerns are his number one priority and he always works for their best interest. Kevin joined the Toledo Signature Associates team in November 2016 as a licensed real estate agent. Prior to Joining Signature, Kevin worked for The Colorado Center for Community Development (2014-2015) performing community project analytics studies, including cost-benefit analysis, housing trends & economic forecasting, to determine project feasibility. He also worked on the development team for Conservation Colorado (2013) promoting sustainable energy sources, environmental public policy and natural resource conservation. Additionally, Kevin was employed by the Sherwin-Williams Paint Company (2005-2012) as a marketing and operations manager for industrial/commercial coatings accounts. Felecia is an Account Executive who administers the strategy and management for a 20 million square foot portfolio for the City of Detroit. She is a real estate and finance professional, with management experience and a hands-on understanding of risk and return. She is well-versed in underwriting, due diligence and closings from the buy, sell and financing perspectives, as well as implementing measurable value add strategies. She is also proficient in Argus and ProCalc. 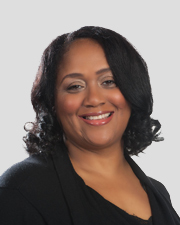 Prior to joining Signature Associates, Felecia was President & Managing Broker of a real estate advisory firm in Detroit. In that capacity, she provided real estate investment and consulting services for a variety of clients, including analysis and reporting for investment decisions in excess of $100 million. She also provided property management services for approximately 500,000 square feet of suburban office and industrial real estate. 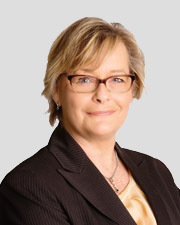 Erva has worked for several years as a real estate consultant/advisor to a range of clients. This client list includes individuals, mid-level and large scale corporate investors in both the private and public sector. Serving as Senior Asset Manager, Erva currently manages the acquisition, disposition and maintenance of a large portfolio of primarily commercial real estate assets, as well as some residential, single and multi-family properties. 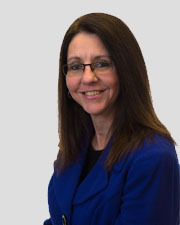 Catherine is responsible for managing industrial, retail, warehouse, hi-tech, and residential properties in the southeastern Michigan market. Currently her portfolio consists of managing approximately 150,000 square feet of industrial/commercial property, 65,000 square feet of retail property, 230,000 square feet of office/mixed use and two condominium associations. 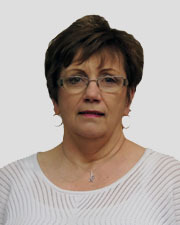 Catherine has worked for Signature Associates for five years, first joining the team as an Assistant Property Manager. Prior to joining Signature, she spent seven years working in commercial real estate and held positions in both property management and marketing. 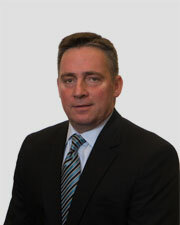 John is a Senior Vice President of Signature Associates and brings a wealth of knowledge and expertise to the company. He is experienced in developing, acquiring, building and managing industrial, office, retail, multi-family and mixed-use properties, including financing, constructing, leasing, managing and otherwise. 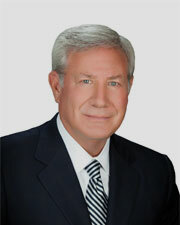 Prior to joining Signature Associates, John was President/COO of Broder & Sachse Real Estate Services. In that role, John was responsible for the entire operation of the firm’s real estate services business, including commercial and multi-family property management, oversight of the firm’s financial management, and the firm’s property maintenance departments. John received a law degree from Emory University School of Law and a Bachelor of Arts degree with distinction in Economics from the University of Michigan. He is a designated Real Property Administrator by the Building Owners and Management Association (BOMA) International, and he is a licensed real estate broker in the States of Michigan. He is a past Chairman of the City of Detroit Planning and Development Department’s Developers Taskforce. He has served on the Board of Directors of the Sinai Hospital of Metro Detroit’s Development Foundation and the Michigan Cancer Foundation Partners. John also served on the Board of Directors of the Jewish Apartments and Services and was an Officer and Board Member of the Benefactors of the Jewish Home and Aging Services. Cassidy Turley Commercial Real Estate Svcs. As a sales associate for Signature Associates Kalamazoo office, Tom Hohm applies an analytical approach when matching clients with the space that best suits their particular needs. Tom’s honesty, integrity, and strong work ethic have contributed to his success and allow him to personally relate to his client’s goals and objectives. This gives Tom the ability to advise clients as though the decision were his own. Prior to his career in commercial real estate, Tom had over 25 years of experience as a civil engineer working for the county and state government to build and manage transportation networks. Tom’s business relationships in the Kalamazoo marketplace, combined with his civil engineering background, give him the ability to help his clients who are growing or seeking to expand their business in the Southwest Michigan market. With many years of experience in the Southwest Michigan market, Tom has a keen sense of development trends. Tom takes a broad approach in applying progressive strategies to real estate transactions to provide solutions for his client’s needs. He continuously studies the evolving marketplace to deliver practical solutions to the projects that he works on. Tom strives to provide the most professional, expert, and reliable service, while always serving the client’s needs. Valarie is a highly motivated accountant and financial analyst with over 18 years of experience in multiple facets of real estate accounting. 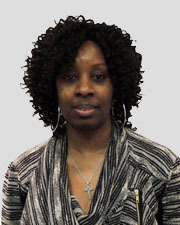 Valarie is proficient in cost accounting, property accounting and financial analysis. She is adept in many types of software including Microsoft Office, Peachtree, and Skyline. 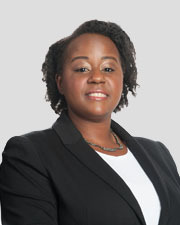 She is also a Yardi administrator who sets up and maintains the Yardi database and has a team of 6 highly qualified property accountants that handle full accounting servers for a large mixed portfolio. 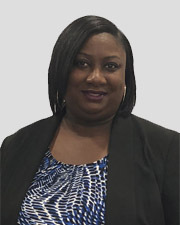 Prior to joining Signature Associates, Valarie worked as an accountant for a real estate developer and trade and bartering company and furniture company. In these roles, she was tasked with completing monthly, quarterly and annual financial statements for all properties as well as extensive budget and forecast creation. She also managed an accounting team that included Accounts Payable, Accounts Receivable and payroll. At Signature Associates, Griffin specializes in investment sales – primarily on net-leased assets, as well as sale-leaseback transactions. Griffin has successfully closed over $150 million in transaction volume since 2016. This includes several private equity sponsored sale-leasebacks, which were traded to intuitionally recognized real estate investors, such as publically traded REITs. Griffin works alongside Luke Timmis on The Sale-Leaseback Team, and they both lead Signature Associates in investment transaction volume. 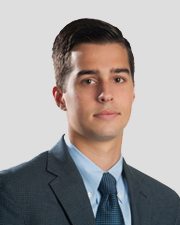 Griffin’s transaction experience, analytical skills, and strong work ethic make him a valuable asset to the Signature Investment Division. Prior to joining Signature Associates, Griffin attended the Eli Broad College of Business at Michigan State University where he graduated with honors. During that time he was a member of the Financial Markets Institute, a comprehensive program for top finance and accounting students. Bill is a Project Manager bringing vast amounts of experience and knowledge to his current position. 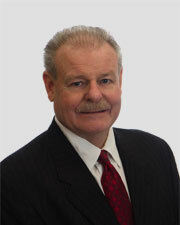 Prior to joining Signature Associates, Bill worked as a Property Manager for a large portfolio in Southeast Michigan. In this role, he dealt with all day to day aspects of the commercial and residential properties including leasing, renewals, tenant improvements and floor plan alterations. Bill also has significant construction experience serving as the Construction Manager for the ground up, build to suit for the TMP International building in Plymouth Twp., the Plymouth Tech Center, the Novi Corporate Center and the Novi Tech Center. He also managed the renovation of the former 2-story Michigan Bell building in downtown Mt. Clemens for Internal Medicine Associates, including the installation of electronic imaging equipment. 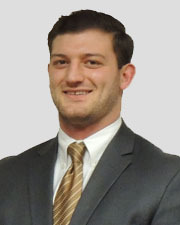 Aaron joins the Brokerage Division of Signature Associates’ Toledo office. 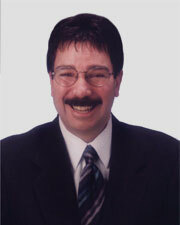 He will specialize in all facets of commercial real estate representing owners, buyers, landlords, and tenants. Aaron was born and raised in Toledo, Ohio and attended St. Francis de Sales High School. He went on to receive a Bachelor’s Degree in Education from Bowling Green State University with a concentration in Entrepreneurship. After graduating, Aaron worked for Young Entrepreneurs Across America, a program designed to help students and graduates learn how to run a small business. While there, he earned the Manager of the Year award, was promoted to Regional Manager of Northwest Ohio, received the Executive of the Year award, and netted the highest manager average in his division. Additionally in 2014, Aaron was a key part of his department earning the Division of the Year award. Aaron continued his career in the field of sales working for a startup LED lighting company as Director of Business Development for the Midwest area. 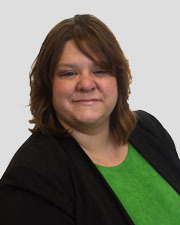 Jamie Hughes is a Sales Associate at Signature’s Muskegon office. His prior experience includes over 25 years in commercial construction. 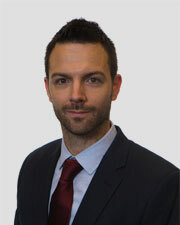 During this time, Jamie gained an expert level of knowledge of all aspects of commercial construction. His close collaboration with clients, inspectors, sub-contractors, employees, and management insured quality construction outcomes. Jamie’s commitment is to achieve, through honesty, hard work and knowledge; a highly successful and friendly experience to each of his clients across every transaction. 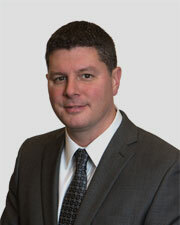 Jason specializes in industrial real estate transactions throughout southeast Michigan. Jason began his real estate career with Signature Associates in 2014 as a marketing & research intern and was promoted to the industrial brokerage team in January 2016 where he is being mentored by some of the most successful brokers in the industry. As a member of the marketing & research team, Jason had many responsibilities that assisted in his knowledge and understanding of commercial real estate and the Metro Detroit market. Currently, Jason manages the leasing of a multi-tenant, hi-tech portfolio of over 11 properties spread across southeast Michigan. Prior to joining the Signature team, Jason worked as a packaging specialist for a steel manufacturing company. He is also currently one of the coaches for the 10-U Michigan Warrior’s Baseball Club, a highly competitive youth baseball program. 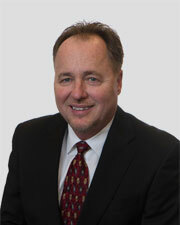 Tim has been involved in the real estate industry since 1980, primarily working in commercial property management. Key clients include: Toledo Mud Hens Fifth Third Field, YMCA of Greater Toledo, ProMedica Health Systems. Prior to joining Signature, Tim owned and operated his own property management and consulting business. Steve is the Founder and President of Signature Associates, and the main source of energy behind this successful company. He has more than 30 years of experience in all aspects of commercial real estate, establishing himself as a proven leader in industrial and commercial real estate. He effectively pursues real estate transactions that benefit all parties involved including owners, landlords, tenants and buyers. His bold, dynamic, and professional style makes Steve one of the top brokers in the Midwest region of the United States and he has received many awards and honors throughout his career. 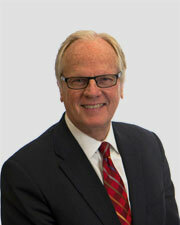 In 2010, Steve was inducted into the Midwest Commercial Real Estate Hall of Fame in the very first year of the program. This prestigious honor is given to only select inductees throughout the Midwest states each year. In 2016, Steve was named to the Crain’s 50 Names to Know in Real Estate which focused on the major contributors to commercial real estate in Metro Detroit Steve was also responsible for the Industrial Sale of the Year in Crain’s Best in Class 2017 Real Estate for selling the Michigan Motion Picture Studios building and land. In the ever-changing real estate market, Steve presents clients with a full range of real estate options not traditionally considered. With his experience and vast market knowledge, he is able to bring local, regional, national, and international expertise to each transaction. Often, Steve goes to great extremes to get the required information, negotiate the best deal possible, and ensure client satisfaction. Steve has expanded Signature’s market coverage by acquiring or opening offices in Detroit, Lansing, Grand Rapids, Kalamazoo, Muskegon, and Holland, Michigan, as well as Toledo, Ohio. 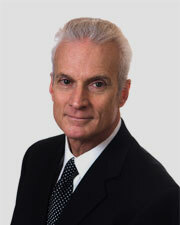 John is a founding Principal and Executive Vice President of Signature Associates. He has completed over $3.7 billion in sale and lease transactions since 1978, and has extensive experience representing clients in numerous national and international assignments throughout North America, Europe and Asia. John combines his in-depth market knowledge with practical business strategies, always striving to meet the unique needs of a broad client group. 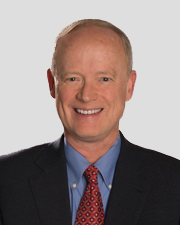 John is a founding Principal and Director of the Office Division of Signature Associates. 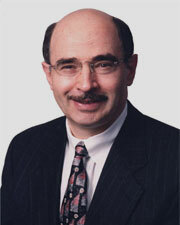 He is also the founding principal of Signature Advisory Services and Signature’s Law Firm Practice Group. During his career, John has completed over $3.5 billion in commercial real estate transactions. John has extensive consulting and transaction experience with commercial real estate assignments in local, national and international markets. A testimonial to John’s high level of professional service is the amount of repeat and referral business he receives from his clients. John has consistently been one of the top real estate professionals in the Midwestern U.S. during his many years in the business. In 2014, John was inducted into the Midwest Real Estate News Commercial Hall of fame. In addition to his exceptional negotiating skills, he has provided clients with diverse services including strategic planning, portfolio restructuring, bankruptcy related brokerage and advisory services, financial analysis, document preparation, and assistance with governmental and tax incentives. Russ directs the financial activities for Signature Associates, leading a team of hard-driving accounting professionals. His 29 years of experience with Signature provides the basis for the team’s integrity, accuracy, attention to detail and willingness to thrive on the hard work the commercial real estate industry demands. He became Controller in 1997, and was promoted to Chief Financial Officer in 2014. As a founding member and Principal of Signature Associates, Paul has demonstrated his exceptional skill and ability in industrial real estate. He has earned top salesman for Signature Associates in 1991, 1992, 1994 1995, 1997, 1999, 2000, 2001, 2002, 2003, 2004, 2005, 2006, 2008, 2010 and in 2011 he was promoted to Vice President. Also in 2011, Paul received an award from SIOR for the second highest number of cooperative transactions between SIOR members in the nation. 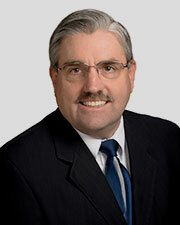 In 2012, Paul was inducted into the Midwest Commercial Real Estate Hall of Fame. This prestigious honor is given to only 55 inductees throughout 11 states each year. He has brokered a myriad of both complex and common transactions, ranging from leasing and sales to obtaining large land tracts for industrial parks. Paul spends most of his efforts working with properties in southeast Michigan, but has also handled acquisitions and dispositions for clients in locations across North America. After 39 years in the industry, Joe has become one of the state’s top commercial real estate brokers. He specializes in industrial and hi-tech brokerage in the I-75 corridor and is a vacant land/build-to-suit expert. Many local business owners and municipalities utilize his expertise as a real estate consultant. His expertise also includes sale-lease backs, investment sales and sophisticated multi-property transactions for tax-deferred exchanges. 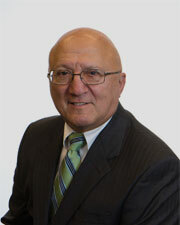 Joe has been named Michigan Association of Realtors – Realtor of the Year and Michigan Commercial Broker of the Year. He was also named Michigan Commercial Realtor of the Year, Local Realtor of the Year and was named the Top Salesperson for Signature’s Industrial Division. 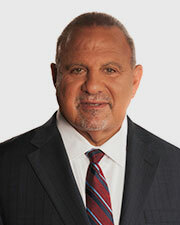 Joe is a founding Principal of Signature Associates. Seminar Presenter: “Prospects to Paychecks: The Nuts and Bolts of Completing a Real Estate Transaction”, “Prospects to Paychecks: The Nuts and Bolts of a Build-to-Suit” and in 2006, “Commercial Real Estate 101”: 10 Key Traits For a Successful Broker. 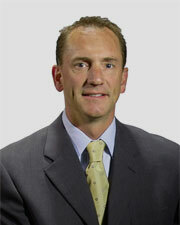 Mark joined Signature Associates in 2005 and has 30 years of management and corporate real estate experience. 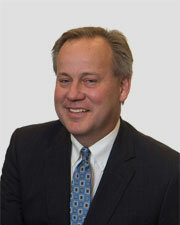 Prior to joining Signature Associates, Mark served as the Managing Director of Cushman & Wakefield’s Detroit office. As a member of the leadership team of Cushman, he served as an industry expert for the automotive sector and account leader for all Michigan based corporate accounts. Mark managed all brokerage, asset management, market research, capital markets and client solutions activities out of the Detroit office. Mark’s corporate real estate experience comes from more than 10 years as Vice President of Ford Motor Company’s real estate subsidiary, Ford Land. Globally, his oversight included transaction and portfolio management of the company’s real estate holdings throughout North and South America, Europe and Asia Pacific. Ford Land’s portfolio of 5.5 million square feet included office, retail, industrial and hospitality properties and Mark was responsible for annual leasing activity exceeding 700,000 square feet of office and hi-tech space with aggregate lease values in excess of $50 million. 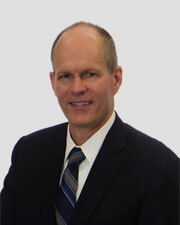 Dave has been specializing in local transactional services and corporate services/multi-market assistance since 1988. He has completed acquisition and disposition assignments for corporations as well as entrepreneurial clients in Australia, China, Europe, Canada, Mexico and throughout the Americas. Mr. Miller recently completed a 7-year assignment repositioning and leasing Michigan’s tallest and most iconic office tower. Through Detroit’s most challenging times, he and a colleague worked with ownership, building management and marketing staff to replace the major tenant and successfully reposition the nearly 1,000,000 sf building for sale. Having maintained client accounts for extended periods of time, Dave understands the dedication to service and ability to leverage relationships worldwide in order to properly assist clients. He has worked on North American acquisitions of land of nearly 1,000 acres with buildings of nearly 1 Million sf. Dave specializes as both a Tenant Representative and Agency Representative (Listing Agent), and has completed over 1,300 transactions and over $2 billion in volume since 1988. As a founding Principal and Associate Broker, Chris provides exceptional services to clients for far-ranging real estate projects, from corporate leasing and acquisition to sales and construction. He has over 31 years’ experience in all facets of commercial real estate, specializing in the City of Detroit and is known for his ability to negotiate difficult transactions out of impasse situations and into successful deals. 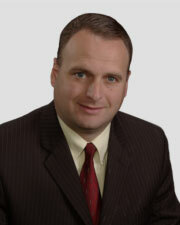 Chris is among the most respected and successful real estate brokers in the industry. Having been involved in real estate for over four decades, selling and leasing thousands of transactions and dealing with some of the most challenging and complex situations offers experience to close transactions. National accounts to local and start-up companies, Chris has had the pleasure to work with some of the most successful and challenging in their industry; decoding complex situations with equanimity, clients and results come first. Gary is a Principal and one of the founding members of Signature Associates. He specializes in industrial and hi-tech real estate, where he successfully represents owners, obtains qualified tenants, and has negotiated a myriad of both complex as well as common transactions for over 31 years. In addition, he has working knowledge of the logistics industry through close hands-on involvement with local as well as national providers. His extensive knowledge and dedication to client service have earned him several Salesman of the Year honors – even among the exceptionally successful Signature team. In business since 1982, he combines past experience in the construction industry with his real estate experience to represent clients with a unique expertise and perspective. 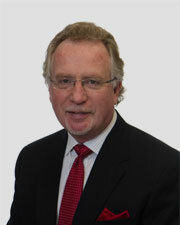 Gary is a founding member and Principal of Signature Associates. He brings over 34 years of experience representing tenants and owners in the leasing, sales, and build-to-suit processes, as well as the sale of land in the northern Detroit suburbs and I-75 corridor in Oakland County. Gary has received numerous awards, including World Class Club, Dealmaker of the Year, and Top Salesman of the Year. Peter, a Principal and founding member of Signature Associates, has worked as a Sales Associate providing comprehensive real estate services to a full range of clients. He has a wide range of experience, from intricate lease negotiations to complex build-to-suit projects for over 29 years. 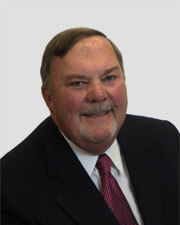 Peter earned the 2011 Top Industrial Salesperson Award for Signature Associates. 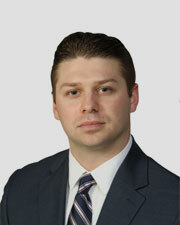 Peter was also one of the recipients of the 2013 CoStar Power Broker Award for top Industrial Leasing Brokers. Rick is a past President of the Michigan Commercial Board of Realtors and Michigan’s Commercial Realtor of the Year for 2005. With over 25 years in the industry, Rick specializes in industrial, hi-tech, and commercial brokerage and is a vacant land/build-to-suit expert. Many business owners and municipalities utilize his expertise as a real estate consultant. His expertise also includes sale-lease backs, investment sales, sophisticated multi-property transactions and tax-deferred exchanges. His geographical area of expertise concentrates on southeastern Michigan, with current projects also taking him throughout the State of Michigan. Rick was a Planning Commissioner for the City of Northville, a member of the Michigan Association of Planning, and a commercial committee member for the National Association of Realtors. He is extremely knowledgeable with the history, current market conditions, and future planning strategies for the communities and businesses within his market. Rick’s tireless work habit, high ethical standard, and professional consulting approach to commercial real estate consistently make him among the leaders in the industry. 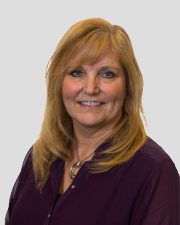 After 20+ years of experience in the real estate industry, Cathy has compiled a diverse network of satisfied clients by combining a high level of professional service with a strong work ethic. Currently specializing in the industrial market, past experience includes selling and leasing office, industrial and retail real estate, investment real estate sales, property management and real estate appraisals. Cathy’s reputation among her fellow Realtors lead to her elected position as a Director and Officer for both the Commercial Alliance of Realtors (CAR), and the Commercial Board of Realtors (CBOR). She has served as Director of the MLS Exchange, Inc and served as Chairman and/or Member of the Membership, Benefits, Professional Standards and Forms Committees within CAR and/or CBOR. 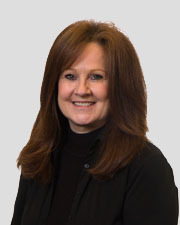 Whatever your real estate needs may be, Cathy will provide the best possible results through dedicated attention to every detail of your transaction. Germano Bressan’s areas of expertise within the Commercial Real Estate field are retail leasing and investment and business opportunity sales. His professionalism and work ethic, in addition to his strong financial background, assure his clients/customers valuable service. 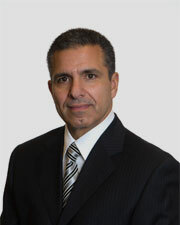 Prior to joining Signature Associates, Germano was a Business Broker for five years with Diversified Business Investments in Atlanta, Georgia. In addition, he has more than 15 years of experience in corporate finance, including tenure with Owens Corning Corporation. Charles has over 32 years of real estate brokerage and management experience specializing in mid to hi-rise developments. His real estate career began in the title insurance industry transitioning into commercial real estate brokerage in 1994. Charles’ experience includes the position of Managing Director of Leasing for a high profile 3.5 million square foot portfolio of Class A office and industrial buildings. Focusing on Property Management since 2006, he has managed primarily office portfolios from 1.2 million to 1.3 million square feet. Most recently, Charles has specialized in Asset Portfolio Management, OREO Portfolio Management, Receiverships – Brokerage and Property Management, while maintaining a portfolio of office and industrial properties. 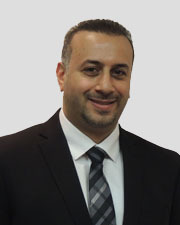 Proficiency in the many facets of real estate has allowed him to serve clients with proven methods and results. 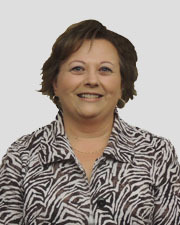 Grant joined the Office Division of Signature Associates in 1991 and was named a Principal in 2002. In addition to representing local landlords, he uses the vast resources of our Advisory Services Group to best represent his client’s complex needs. Bill has been a property management professional for 22 years. He currently is the manager of a diverse property portfolio of over 885,000 square feet of medical and warehouse space. Bill has extensive knowledge in all areas of property management, including construction, engineering, and maintenance, along with administrative and accounting expertise. He was a chief engineer for a seven-building, 500,000 square foot campus for four years. 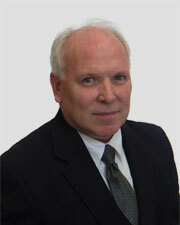 Bill served as a facility manager for a large real estate REIT, responsible for 70 buildings in southeastern Michigan. Jay specializes in hi-tech, office, and industrial properties along the I-275, I-94, M-14 and US-23 corridors in Washtenaw and Western Wayne Counties. He has been a major contributor to the growth of the research and development business sector in Ann Arbor. Jay has over 35 years of experience in commercial real estate leasing, sales, and build-to-suits in Southeastern Michigan. He has considerable experience as both a tenant representative broker and as the exclusive representative for several major developers in Washtenaw and Wayne counties. In addition, he participated in a leadership capacity assisting numerous small and large local, national and international companies, as well as, financial institutions in the acquisition and disposition of their real estate assets. Jay’s knowledge of the market and changing trends, when combined with work on both sides of the table, is a valuable asset to Signature Associates. Jay has the ability to create a win-win situation in complex negotiations for both parties, which produces more closed transactions. Jeff began his real estate career in a family-owned business in Muskegon, where he headed up the company’s commercial division in 1977. In 1979, Jeff relocated to Chicago, where he joined the Midwest regional office for Previews, Inc., the largest resort property brokerage firm in the country at that time. Jeff led the nation in Previews’ Select Sales Program. 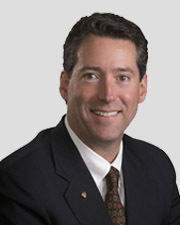 In 1989, Jeff joined The Hinman Company, a commercial real estate development company located in Kalamazoo, where he became the Director of Marketing and Leasing. Jeff remained at The Hinman Company for 10 years in that capacity and maintained an average tenant occupancy rate of over 90% during his term with the firm. Jeff brings with him a diverse background in national tenant representation and office and retail leasing. Jeff is also very adept in the site selection process, large land assemblage projects and quarterbacking the entire due diligence process, permitting, zoning and closing process. 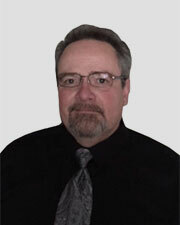 Since joining Signature Associates in 2007, Jeff has been primarily an Industrial specialist. He has been involved with numerous transactions combining over a million square feet of Industrial space. As a member of the Signature Associates Advisory Services Division, Jill brings more than 15 years of real estate brokerage and account management experience to the position. 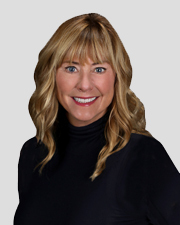 Prior to joining Signature Associates, Jill was an account manager for a real estate consulting firm where she completed numerous office, industrial and retail transactions. 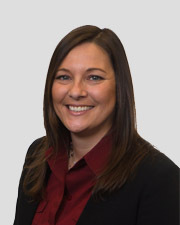 Jill’s current responsibilities include: lease review and lease administration for clients with multiple locations, preparation of lease abstracts, and database input and tracking of expiring leases of clients and prospects. She is also responsible for preparing market surveys, compiling property information, drafting proposals, purchase agreements, financial analysis, and research. 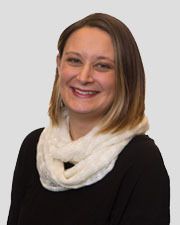 Erica joined the Signature Team in January of 2013 and has a wide range of experience, currently focusing on tenant and landlord representation, as well as consulting assignments. Erica takes a holistic approach in applying strategies to real estate to provide solutions for her client’s needs. She strives to understand best practices in the industry and deliver practical applications to the various projects she works on. 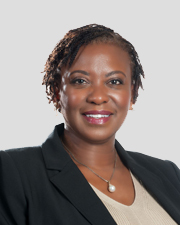 Her background includes tenant representation, financial modeling, project management, transaction management, portfolio management, multi-market work and strategic consulting. She provides a unique perspective and background to each project and appreciates thinking outside the box. Her expertise in asset/portfolio cash flow analysis, underwriting, due diligence and account management are among the skill sets she uses to manage accounts. Erica strives to ensure her clients are implementing a real estate strategy that is in-line with their operating objectives. Previously, Erica held a key project management role at Perkins+Will in Washington, D.C. for the redevelopment of the former Walter Reed Army Medical Center, encompassing a 3.1 million square foot campus master plan on a 113-acre site. She received an award from the National Capital Area Chapter of the American Planning Association for an Outstanding Small Area Plan. Tom Elhart is a West Michigan Native. Originally from Zeeland and a Hope College graduate, Tom now resides in Grand Haven. He has been a principal of Universal Properties located in Holland for 20 plus years. Tom is very active in the communities he serves. He has been a two time Rotary President and is a Paul Harris Fellow, Rotary’s highest award for community service. Tom was also recently appointed to a second 6 year term as an Ottawa County Road Commission. With his knowledge of the local market, Tom has helped many companies sell and lease commercial, office and Industrial properties, as well as finding properties for companies on the grow throughout the country. Keenan Fields has been exclusively involved in commercial/industrial real estate since 1987. 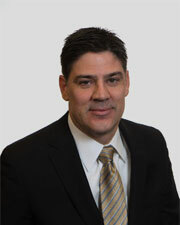 He spent 13 years with Zyndorf/Serchuk until its merger with Signature Associates in July of 2002. He has handled all aspects of the disposition of commercial/industrial properties for a variety of clients and is licensed in the States of Ohio and Michigan. Keenan’s emphasis on professionalism and cultivation of long-term relationships directly reflect Signature Associates’ dedication to exceptional service to its clients. Keenan specializes in the sale and leasing of land, industrial and investment properties in Northwestern Ohio and Southeast Michigan. Eldora Automotive – North America, Inc.
Great Lakes Aerial Maintenance & Construction, Inc.
Uckele Health & Nutrition, Inc.
Joe is a native of the greater Toledo, Ohio area. He brings 22 years of experience in sales and management to Signature Associates. Joe specializes in the sale and lease of industrial and retail property and investment sales in Northwest Ohio and Southeast Michigan. His work ethic, diligence, and perseverance serve his clients well. Justin is a member of Signature Associates’ Retail Division. His primary market area consists of the Southwest suburbs of Detroit. His ability to understand client’s goals and formulate efficient strategies to achieve them allows him to uncover unique opportunities for his real estate clients. Prior to joining Signature, he spent six years as a Financial Advisor assisting his clients with all aspects of their finance. 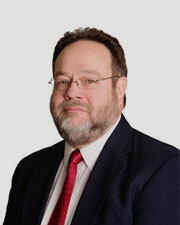 Tom has over 25 years of experience in commercial property management. That experience includes hands-on management of office, industrial, retail and medical office assignments, as well as oversight of property managers and building staff. In addition, Tom has worked extensively with institutionally-owned assets, and receivership and OREO properties. David is one of Signature’s Principals and specializes in the sale and leasing of hi-tech, office and industrial properties in Southeast Michigan. He has completed over one billion dollars in sale and lease transactions since 1991. David has vast experience in assisting local, national and international companies with a wide variety of real estate requirements. 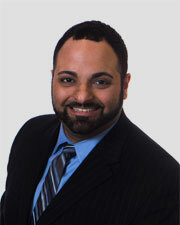 David utilizes his vast market knowledge and extensive experience to successfully meet the needs of his clients. 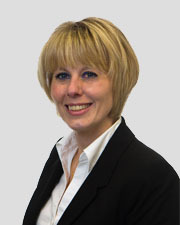 Larisa has ten years of experience working in multiple areas of accounting. She is a Certified Public Accountant (CPA) with progressive experience in public and corporate accounting. Her ability to work in a fast-paced environment and manage multiple projects and deadlines make her a valuable part of Signature’s highly skilled accounting team. Prior to joining Signature Associates, Larisa worked as a Corporate Accounting Manager at a fully integrated real estate investment trust (REIT) in North Carolina. 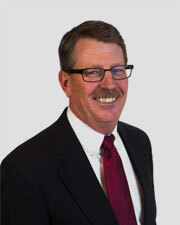 Joe has 31 years of experience with Signature Associates in the commercial real estate industry. His hands-on approach has helped him sell or lease more than $800 million of commercial real estate. 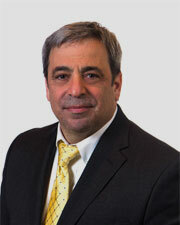 He specializes in eastside industrial as well as complex multi-market transactions throughout the country. Joe’s vast knowledge with both existing product and new construction has made him a leading producer in the industry for over a quarter century. He has been recognized as an annual Top Producer and has been awarded a “World Class Club” designation 26 times, as well as Signature’s top industrial broker in 2004 and 2016. In 2014 and 2015, Joe was recognized as Signature’s top overall sales broker. Ken Higgs is a building engineer providing construction and maintenance services for Signature Associates property management portfolio which totals over 7 million square feet. His daily responsibilities include general maintenance, electrical, plumbing, heating & cooling and building repair. Work ethic, knowledge and commitment to excellence enable Ken to bring a wide array of skills to his position. 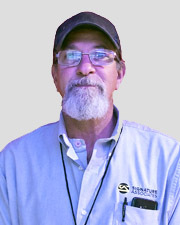 Prior to joining Signature, Ken spent 38 years as a quality control manager in the manufacturing industry. With a history of both personal and professional accomplishments, Greg has proven himself as a natural leader driven toward excellence. He applies a stringent work ethic to every task, always striving to correctly identify client needs and exceed their expectations. Greg specializes in representing clients in the sale, lease and development of commercial/industrial real estate on the west side of the Detroit market. 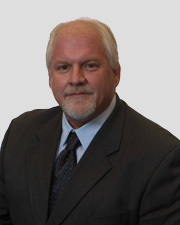 Greg began his real estate career 21 years ago with Signature Associates, and since then has been a regular in Signature’s World Class Club as well as Co-Star’s Top Industrial Brokers in Michigan. Two of the last 4 years Greg has secured the largest industrial lease in southeast Michigan and in 2010 was the Top Industrial Broker at Signature. 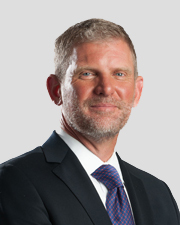 Prior to joining Signature Associates, Greg was a franchise owner of Little Caesar’s Pizza, operating stores in Washington D.C. During this time, he won the Little Caesar’s Expect to Win Award, a title given nationally to an owner who best exemplifies a winning attitude and operational excellence. This ownership experience gave Greg great knowledge into the many issues impacting businesses, making him more attuned to his client’s unique needs. Before becoming a franchise owner, Greg played two seasons of professional hockey in the Detroit Red Wings Organization. 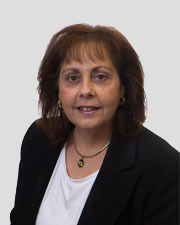 Irene has over 15 years’ experience in Commercial Planning, Design and Project Management. Her breadth of knowledge spans several industries including: advertising/marketing, pharmaceutical, technology, research and automotive. Irene is keenly able to help “translate” the information clients are being told and how it relates to their project. She can speak the language which will help create the best solution. Her philosophy is that no two projects, or companies, are the same so she acts as a detective to figure out how they function and what solutions are best for them. Rob Keleghan started his real estate career in Chicago with Inland Real Estate while attending the University of Illinois in 2000. After graduating with a Bachelor’s Degree in Finance, he concentrated on retail, investment and multifamily sales. 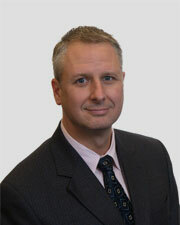 In 2002, Sheldon Good & Company recruited Rob to develop their new brokerage team. 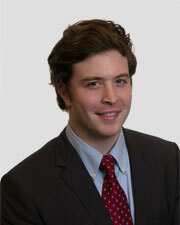 While at Sheldon Good, Rob sold over $14 million of investment property. In 2004, Rob moved to Sussex & Reilly where he began to concentrate on infill development and commercial brokerage on Chicago’s north side. Over the next four years, Rob sold, financed, and developed over $40 million of property for developers and as a principal. In 2007, Rob was named one of the Top 40 under 40 by Metro Chicago Real Estate Magazine and was also awarded the “Good Neighbor Award” from the Chicago Association of Realtors. From 2008-2014, Rob concentrated on construction with Key General Contracting and TSI. Rob and his wife recently moved to Toledo and reside in Old Orchard. 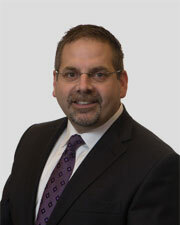 Rob is licensed in Michigan and Ohio and is pursuing the CCIM designation. 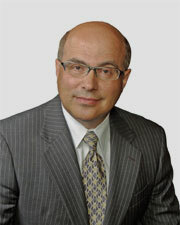 Steve Serchuk, was co-founder of Zyndorf/Serchuk, Inc. and Zyndorf/Serchuk Investment Company, Ltd. Zyndorf/Serchuk Inc. was sold in 1999. Signature Associates is the successor brokerage company to Zyndorf/Serchuk, Inc. Steve has more than 40 years of commercial real estate experience. He has represented both Sellers/Landlords and Buyers/Tenants and he understands how to structure win-win transactions. He has represented many large retailers including Walmart, Home Depot and Gordon Food Service. He also specializes in the sale of investment properties. Prior to entering the real estate business, Steve was a city planner with the Toledo-Lucas County Plan Commission for five years. Robert P. Mack, CCIM, SIOR, specializes in the sale and lease of industrial and office property in northwest Ohio and southeast Michigan. He consistently completes approximately 100 assignments each year. Bob began his career in 1988 with Zyndorf/Serchuk, which evolved to Signature Associates-Toledo, whereupon he was a founding principal and is the leading producer. 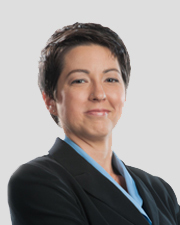 Megan Malczewski provides commercial real estate solutions to clients ranging from regional/national corporations to entrepreneurial ventures, as well as governmental/institutional agencies. She offers fresh, innovative marketing solutions, tireless enthusiasm and motivation to achieve her client’s objectives and goals. 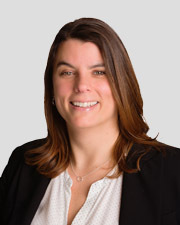 Megan specializes in assisting her clients with all of their commercial real estate needs with a core focus on office and industrial sales and leasing throughout Northwest Ohio and Southeast Michigan. 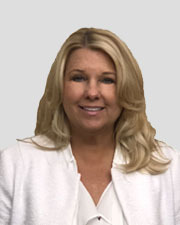 Her experience in the industry started while completing her degree in Business at Bowling Green State University when she interned with Signature’s predecessor firm Zyndorf/Serchuk and has over 20 years of experience in the commercial brokerage industry. Year after year, Megan closes over 80 sale and lease transactions. She has an extensive database of completed sale/lease data providing expertise in price recommendations and negotiation intelligence. 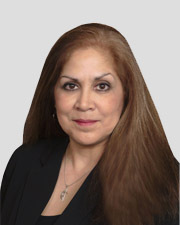 Her unparalleled knowledge of the market inventory uniquely qualifies her to help her clients with their property requirements. 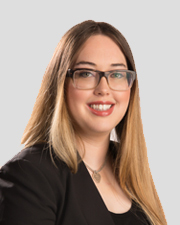 Attention to detail is critical and when she is tasked with an assignment to sell or lease an asset, Megan assembles a complete, state of the art detailed property information package explaining the property facts and selling features. Her marketing plan includes targeting specific audiences, effectively disseminating detailed property information, appealing qualified prospects and closing the deal. Whether helping clients evaluate decisions to right size, expand, relocate, sell and lease or sell-lease back property Megan listens to her client’s needs and implements solutions to produce optimal results. She is organized and goal driven helping clients keep on task by summarizing a clear, time sensitive critical schedule of due diligence dates and expectations and explains the process to close the transaction. 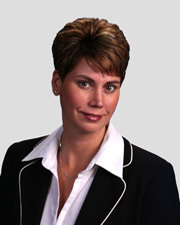 Learn more about Megan and how she can deliver on your real estate needs at www.meganmalczewski.com. 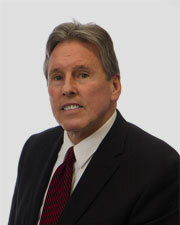 Ken Marciniak has licensed since 1973. He began his real estate career as a residential sales associate where he remained until 1986 when he joined Zyndorf/Serchuk (Signature Associates as of July 2002). 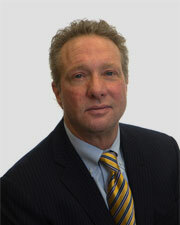 Ken specializes in industrial sales and leasing. Port Lawrence Title & Trust Co.
Jim’s experience in the manufacturing arena – automotive, steel and aerospace, coupled with his knowledge of the market and well developed people skills, makes him a valuable asset to both Signature and our industrial clients. Jim has a tireless work ethic and has an innate ability to find opportunities and open doors. 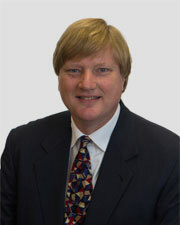 Bruce has been exclusively involved in investment real estate debt and equity nationwide since 1985. He has closed transactions ranging from $140,000 to $75,000,000 including office, industrial, retail, and apartment buildings. 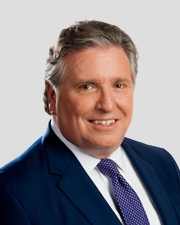 Bruce began his real estate career working for CIGNA Investments, Inc. and Connecticut Mutual Life Insurance Company, covering a national territory, and has since provided an extensive list of both debt and equity investment services for many distinguished investors. Since founding the Investment Sales Division in 1995, Bruce has sold 500 buildings, totaling $2.1 billion. Additionally, Bruce was retained by the City of Rochester Hills, Michigan in 1995 as an expert witness in the valuation of Meadowbrook Village Mall. 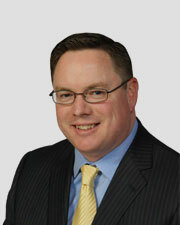 Jim Olsen is an Associate Broker and Attorney-at-Law specializing in Real Estate Law and related issues. 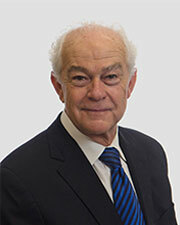 He has been an attorney since graduating from the University of Michigan Law School in 1979. Jim was born and raised in Muskegon and has been active in many community organizations including the Child Abuse Council of Muskegon, Family Coordinating Council, Muskegon Public Schools Educational Funds, and the Y’s Club. Jim has been in the Commercial Real Estate business since 1999 and has experience in selling and leasing all types of commercial properties. Jim was also the managing broker for Nexcom prior to Nexcom joining the Signature Team. 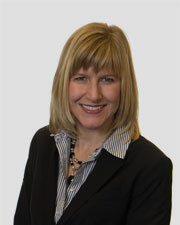 Caroline brings 19 years of Commercial Real Estate experience and a fresh perspective to the Signature team. After a successful career as a tenant and landlord representative in Suburban Detroit, she joined Signature’s West Michigan Team in 2006, further enhancing its strong market presence. Caroline’s ability in connecting the dots to make creative matches, combined with strong negotiating skills, make her an outstanding advocate for her clients. Her work ethic, tenacity and enthusiasm are long recognized in the brokerage community. 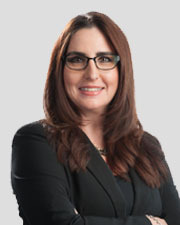 Kris has more than 20 years of experience successfully representing all aspects of commercial real estate transactions for owners, landlords, tenants and buyers. His focus is primarily industrial, land, and hi-tech transactions in Oakland and Macomb County, however he brokers transactions internationally to service his client’s ever-changing needs of expanding into global markets. He stays well informed of rapidly changing industry developments and provides unique solutions in a wide range of real estate disciplines involving negotiations that benefit everyone in the deal to create win-win scenarios in each transaction. Kris’ persistence, strong work ethic, multi-market and industry knowledge, attention to detail, and community involvement are traits behind his ability to service all of his clients’ needs forming unparalleled long-term bonds with each client he comes in contact with to ensure client satisfaction. This unique ability to problem solve, successfully negotiate real estate transactions and define needs of singular situations that benefit all parties is the driving force behind his success in the industry. Kris has held the prestigious World Class Club Award every year since 2006; has been the recipient of multiple CoStar Group Power Broker Awards, consistently remains CoStar’s #1 transactional broker for the State of Michigan for 2010, 2011(#2), 2012, 2013, 2014, 2015, 2016, 2017, and 2018; Signature Associates’ Most Improved Broker for 2011; recipient of Personal Best Award in 2015; and voted to Oakland County Executive L. Brook’s Patterson’s Elite 40 under 40 Class of 2013. 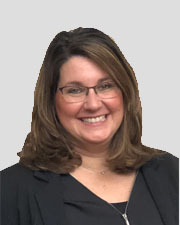 Tanya Pipatjarasgit specializes in the sale and lease of retail and office property throughout northwest Ohio and southeast Michigan. 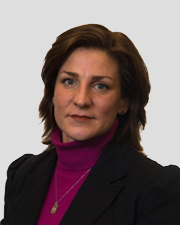 Prior to joining Signature Associates, Tanya was an Associate in the Investment Banking Division at Donaldson, Lufkin & Jenrette (now Credit Suisse First Boston) and Lehman Brothers in New York, New York. Tanya worked in a wide range of transactions from mergers & acquisitions to stock/bond offerings, creating detailed financial models and preparing new business marketing materials. Her client list includes: Waste Management, Inc., Allied Waste Industries, Inc., and Lear Corporation. Tanya also brings years of retail experience working with multi-unit restaurant chains in marketing, site selection, and retail management. Her diverse background allows for creative measures and alternate problem solving methods combined with Signature Associates’ extensive resources to service her clients. In addition to her strong financial and retail management background, Tanya’s enthusiasm, determined work ethic and perseverance to succeed in the execution of both small and large transactions have proven beneficial to the firm and her clients. A native of Grand Rapids, MI and with over 10 years’ experience selling and leasing retail properties, Joe continues to provide Investors, Landlords and Tenants effective results. His qualifications are well suited to represent clients of all types – Investors, Sellers, Buyers, Landlords and Tenants. Joe is also well versed in investment sales for tax-deferred exchanges and handling receiverships for state and federal courts. Joe covers the Greater Grand Rapids Metropolitan area, specifically M-44 (East Beltline), M-11 (28th Street), M-37 (Alpine Avenue) and downtown Grand Rapids. 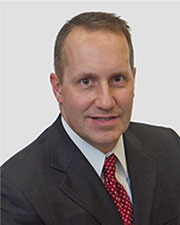 In addition to his experience as a real estate broker, Joe also possesses a wealth of knowledge with his years in senior management at Meijer Inc. and Walmart, WMT (NYSE), providing retailers effective and creative strategies to position their companies for greater market share and drive sales. Susan is a Project Manager with over ten years of construction, renovation and facilities management experience and has proven leadership of cross-functional and skilled trade teams through retail, commercial and industrial environments. She is experienced at all levels of the development process including design, planning and execution. Her strengths in accounting, database management and administrative processes support her ability to build effective project teams, establish and monitor budgets and schedules, and drive results to deliver projects on time and under budget. Success has been achieved through excellent verbal and written communication skills with the ability to convey concepts to a diverse group of stakeholders, while demonstrating critical thinking skills for making effective business decisions in a professional and timely manner. Paul is a member of Signature Associates’ Industrial Division. He specializes in the Macomb County market. 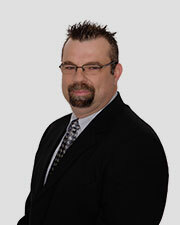 Paul has more than 24 years of experience in all types of real estate services. Paul was responsible for the build-out of a retail chain of 36 stores located in regional/super-regional shopping centers throughout the Midwest, and managed a 25-acre family entertainment facility. Paul managed a portfolio of more than 500,000 square feet of office, retail and light industrial properties prior to becoming a sales associate. For over 21 years, Chris has earned a position as one of the top professionals in the commercial real estate industry, completing assignments totaling hundreds of millions of dollars in value. He has represented firms in financial services, real estate development and investment, healthcare, software, manufacturing, engineering and legal services. Chris has been retained for transaction services in numerous markets, portfolio assessment and strategic planning, corporate account services and troubled/distressed asset disposition. On multiple occasions, Chris has been named a Top Producer at Signature Associates and received the CoStar Power Broker Award. Using his extensive market knowledge and experience, Chris efficiently delivers solutions for assignments ranging from simple to very complex. 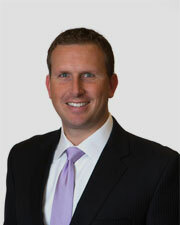 Jason Sheppard joined Signature Associates in 2009. Jason’s previous experience as a Project Manager for a commercial/residential real estate developer has given him experience with development projects from start to finish. He specializes in the sale and lease of land, investment and industrial property in both southeast Michigan and northwest Ohio. Michael’s commercial/industrial and investment real estate experience encompasses hundreds of retail, office, industrial, and investment transactions. As an owner/developer, he has assembled and rezoned land, as well as planned and executed commercial, entertainment, and residential developments. He has also financed, constructed, leased, and operated a shopping center, office buildings, restaurants, and a single-family residential community. Michael has acquired, owned, and operated multi-family residential projects, office buildings, and development property and he also secured tens of millions of dollars in mortgages, construction loans, letters of credit, revolving lines of credit and standby loans for his own projects as well as providing consulting services to clients. Michael has developed a unique practice sub-specialty in all aspects of movie theatre development, and related brokerage services. Michael’s wealth of practical experience in all phases of real estate ownership and development is a valuable added dimension to the brokerage process. 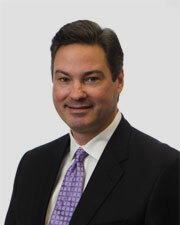 Michael has represented institutional, corporate, and individual clients too numerous to list here. Michael is presently engaged in executing a national growth strategy for luxury theatre circuit Emagine Entertainment, Inc. in the entertainment and retail real estate sectors. Jason specializes in office brokerage along the I-275 Corridor in Oakland and Wayne counties representing owners, buyers, landlords, and tenants. With degrees in Finance and Management from the University of Michigan and previous industry experience in corporate finance, Jason seeks to advise clients based on their current business needs and long term strategic objectives. Experienced in working with clients of every size and across industries, Jason works diligently to develop commercial real estate solutions that maximize outcomes and exceed his clients’ expectations. As a life-long resident of the Metro Detroit area, Jason is passionate about supporting local business development and creating shared value for corporations and the community. 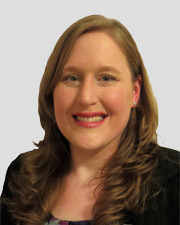 Angela joined the Signature Team in September of 2005 after graduating from the University of Michigan-Ann Arbor. Energy, optimism, hard work, diligence, and creativity rule her game in this business. Her extensive knowledge of the downtown communities and the major players within set her apart. She currently acts as the real estate department for Ross Education where she is responsible for the multi market expansion, taking the company from 10 schools to 36. The game of matching to provide creative solutions and using her relationships for the advancement of her customers has awarded her a strong list of clients that grows daily. 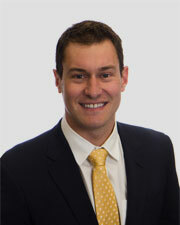 Luke specializes in investment sale transactions with a primary focus on sale-leaseback transactions nationally. Luke founded The Sale-Leaseback Team in 2015 and has been responsible for over $200 million of transactions in that span. In 2016, Griffin Pitcher was recruited to the platform, and since then the two have become the #1 investment professionals companywide. The team gained significant traction in 2018 as they provided sale-leaseback analyses for 24 private equity firms on the front end of 74 M&A transactions. This led to the team capturing a significant market share of the private equity-sponsored sale-leasebacks transacted nationally. Luke graduated from Marquette University, where he majored in finance and real estate, and played defense on the school’s first-ever Division 1 lacrosse team. Today, Luke coaches his high school alma mater (Brother Rice) and in five years has placed 13 student-athletes to play at the NCAA Division 1 level. For the past 29 years, Jack has served as an industrial real estate specialist in the sale and leasing of buildings located in the Western suburbs of Detroit. His track record of successfully meeting the needs of the owners and users that he represents is evident by consistently satisfying the requirements of one of Signature Associates’ Top Sales Designations since 1993. Prior to his real estate career, Jack served in several Engineering Management positions at Ford Motor Company associated with Powertrain Operations and its Safety Engineering Staff. While at Ford, he was responsible for the successful launch of the 3.0L engine in Mazda’s Probe vehicles and the advance design of the 2.2L Ford Focus engine. This assignment, which involved spending time in Japan, England, and Germany, provided insight on worldwide manufacturing and warehousing operations and enhanced his effectiveness in matching real estate opportunities with customer needs. Jeffrey has a diverse background in real estate, law, and corporate business. He began his career practicing law with an emphasis on real estate and managed a company with over 300 employees. A passion for real estate developed and he turned this focus into a commitment to assist his clients with all aspects of commercial real estate brokerage. Regularly working with landlords, tenants, buyers and sellers in the office and medical markets, Jeffrey specializes in leasing, sales, site location, development and management of real estate projects. 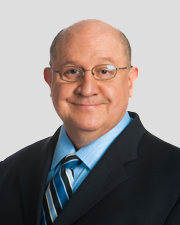 Jeffrey is recognized for his work ethic, integrity and commitment to his clients, as well as his unrelenting drive to obtain the best market research and information for his clients. As a skillful negotiator, he has provided significant value to his clients while assisting both large institutional clients and smaller tenants with a professionalism and understanding of the requirement, making difficult requirements appear simple. Peter specializes in tenant representation as well as owner sales and leasing. His focus is on land, retail and office properties on the east side of Metro Detroit. In Peter’s time at Signature, he has assisted in over $50 million in real estate transactions. 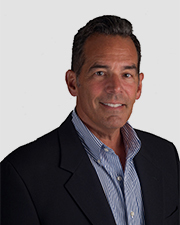 Prior to joining the Signature Team, Peter worked in the consulting industry in Detroit. Peter is also a four-time Olympic Medalist, representing the United States in three consecutive Olympics, winning two gold and two bronze medals. He was also a co-captain of the 2012 USA Men’s Olympic Swim Team. Frank Rewold and Sons, Inc.
With over 26 years of experience, Brad specializes in representing owners, investors, developers, and users in the leasing, selling, purchasing, and development of commercial real estate. As a former director of real estate for a worldwide tier-one automotive supplier and practicing attorney he has firsthand experience with all aspects of real property transactions. This unique background enables Brad to effectively guide his clients to make sound commercial real estate decisions. Brad was also responsible for the Industrial Leases of the Year in Crain’s Best in Class of 2017 Real Estate as he represented Amazon.com, Inc. in numerous deals in Southeast Michigan totaling over 3 million square feet. 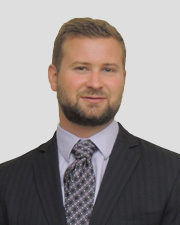 D & G Building Co.
Ben is a member of our Industrial and Land Division and specializes in Sales, Leasing, Build-to-Suits, and Tenant/Buyer Representation. With his rigorous work ethic, Ben has successfully consummated transactions ranging anywhere from a $32 million 180,000 SF hi-tech build-to-suit down to a 3,000 SF lease that was critical for his client’s success. Regardless of the size and nature of his client’s requirements and expectations, Ben has proven he is driven to meet and exceed them time and time again. 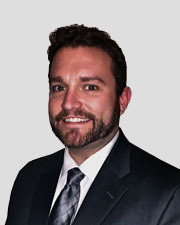 Previous to his tenure at Signature Associates, Ben worked as a contracts manager and estimator for the nation’s largest automotive/industrial construction firm based right here out of Detroit, MI. With this strong background in industrial construction, Ben brings a unique approach and thorough understanding of real estate development. He can successfully navigate the complete process of identifying and procuring a piece of vacant land, drafting preliminary construction specifications, generating complete proposals and letters of intent, and closing with qualified tenants and buyers. 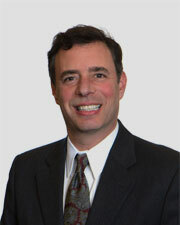 Mark Zyndorf was co-founder of Zyndorf/Serchuk, Inc. which merged with Signature Associates in 2002. Mark is recognized in Northwest Ohio as an industry expert and has experience in the real estate market as a sales associate and a broker. In addition, he is the Managing Member of Zyndorf/Serchuk Investment Company Ltd., which has become very aggressive in commercial development. Mark is nationally recognized as a Retail Specialist and was nominated for the prestigious Ernst & Young Entrepreneur of the Year Award. Board of Directors for the Ashley Insurance Co.
Past Board Member of Toledo Community Foundation, Inc.
Sam has worked on a wide range of transactions from assemblages for Fifth Third Field and St. Anne Mercy Hospital to recent transactions including site acquisition for the new Mercy Health Systems’ Sylvania and Perrysburg Emergency Centers along with the relocation of the law firm of Spengler Nathanson, PLL. Providing a variety of consulting services, specializing in Real Estate Valuations / Board of Revision Complaints. 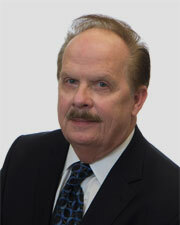 As Senior Vice President, he is responsible for the day-to-day operations of the Toledo office.